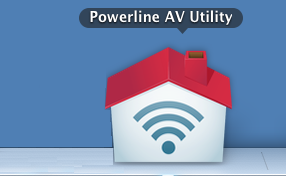 You can upgrade the firmware of your Powerline Fast Ethernet adapter by using the Powerline AV Utility. Before upgrading the firmware of your Powerline adapter, you are required to download the firmware first from the Linksys Support Site. For instructions, click here. After downloading, make sure that you have also installed the utility. To learn how, click here. Launch the Powerline AV Utility. For instructions on how to install the utility, click here. Under the Network Status tab, select the Powerline adapter you want to upgrade then click the Administrator tab. IMPORTANT: Ensure that the computer you are using is directly connected to the desired Powerline device that you want to upgrade since the utility does not support upgrading a Powerline unit that is NOT connected to the computer. 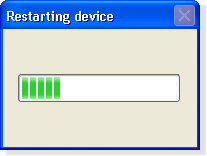 It can remote manage, but not remotely upgrade firmware. 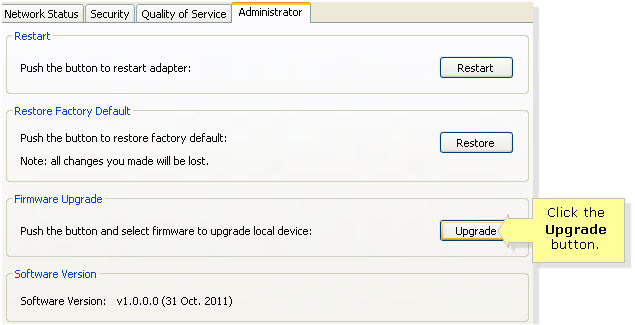 Under the Firmware Upgrade section, click the Upgrade button. You will then be asked to look for the firmware you have downloaded earlier for your Powerline adapter. 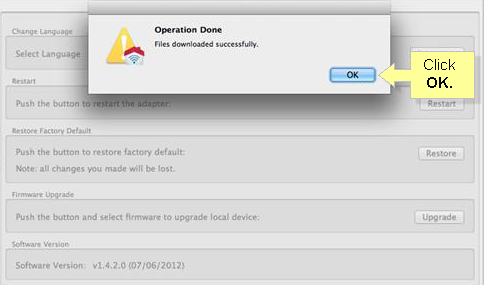 Select the firmware file and click Open. NOTE: Make sure you select the correct firmware for your Powerline adapter. NOTE: A window will appear asking you if you would like to keep your adapter’s current settings. Should you choose to do so, click Yes. Otherwise, click No. The Powerline adapter will now begin the upgrade process. IMPORTANT: The upgrade process should not be interrupted. Once successfully upgraded, the Powerline adapter will perform a system reboot. You will be prompted that the upgrade process was successful. 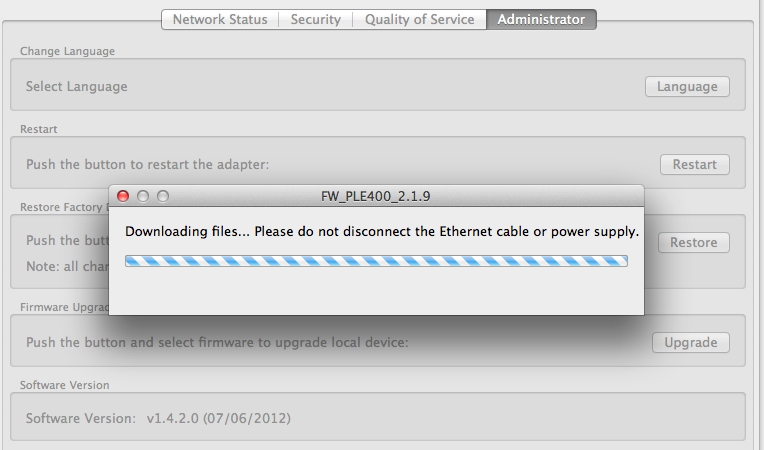 Click OK.
You will be asked to look for the firmware you have downloaded earlier for your Powerline adapter. 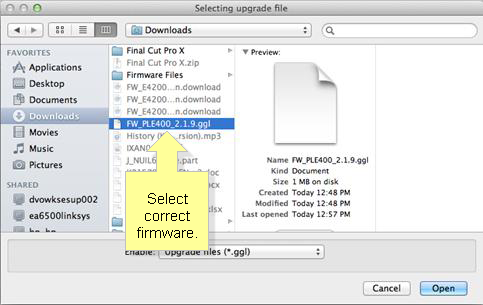 Select the firmware file and click Open. NOTE: Should you choose to keep your adapter’s current settings, click Yes. Otherwise, click No. NOTE: Once successfully upgraded, the powerline adapter will perform a system reboot.